Pennsylvania Family Institute When a politician tells you we need we need SOGI to compete economically, they’re wrong. When a politician tells you we need we need SOGI to compete economically, they’re wrong. 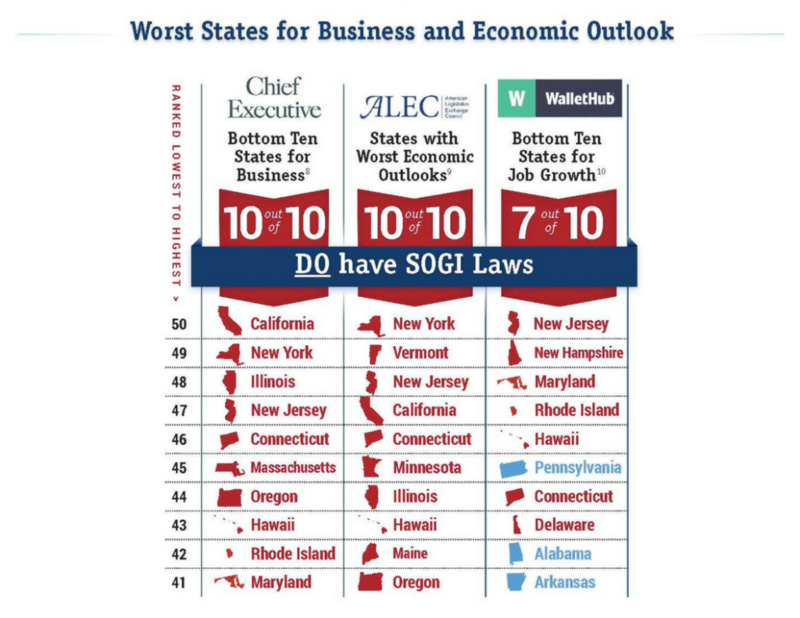 Numerous studies suggest that states without these classifications actually have greater economic growth, while many states that have added these classifications to their laws have weaker economies and lower job growth. While this does not mean that states with these types of laws always experience low economic growth, it does indicate that these classifications aren’t essential to economic growth. 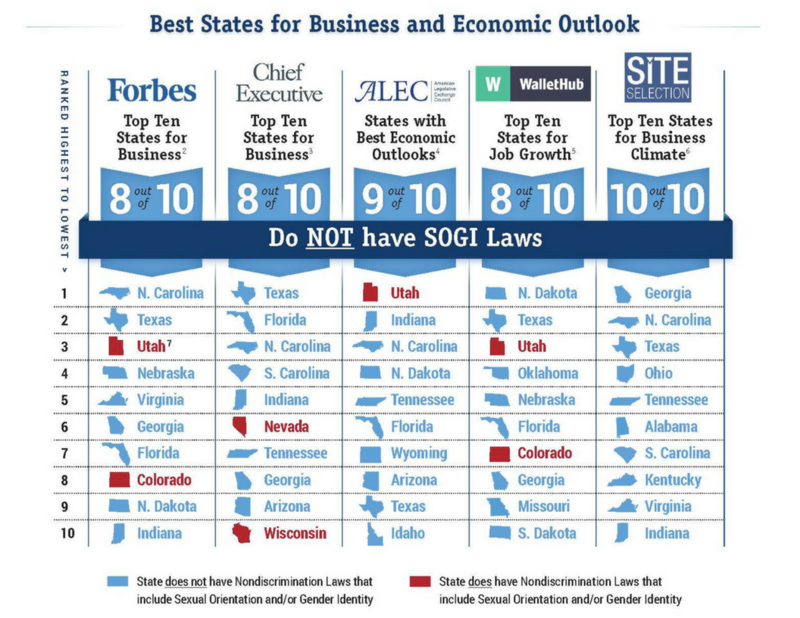 Notably, the majority of states and the federal government do not include sexual orientation and gender identity in public accommodation, employment and housing nondiscrimination laws. Use PA Family Council’s Citizen Action Center to tell your State Senator & State Representative to oppose Senate Bill 613 & House Bill 1410: Click here to take action.